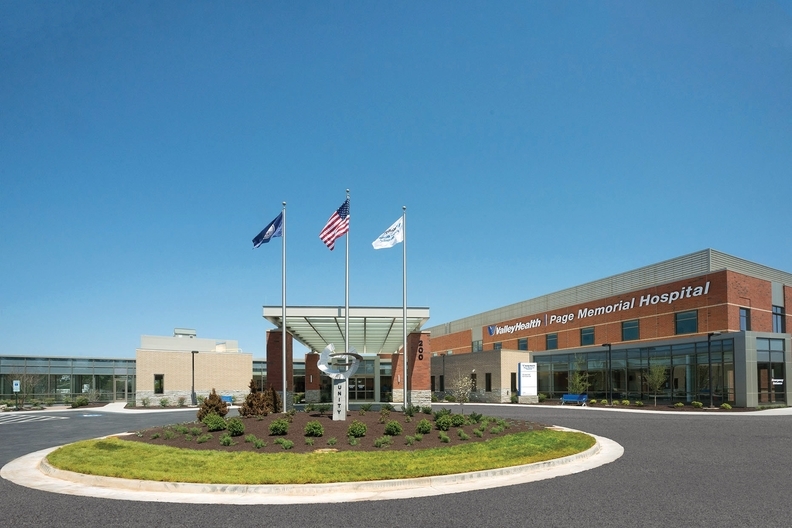 The future of Virginia's Page Memorial Hospital is threatened by the ongoing cuts to Medicare and the failure of the state to expand Medicaid, officials say. Much of rural America already resembles the country's future—it's older and sicker. Take Page County at the northern edge of Virginia's historic Shenandoah Valley, for instance. Despite its proximity to the nation's capital, the population over age 65 has increased by 28% to about 1 in 5 residents over the past decade. The poverty rate in the county of about 24,000 is up 21%. And unemployment stands at 6.9%, significantly higher than the national average. Access to healthcare for its aging population is crucial, local officials say. And, lucky for local residents, they still have the 25-bed critical-access Page Memorial Hospital, located in the county seat of Luray. Without it, residents would have to drive at least 45 minutes to an emergency room or for primary and preventive care. But the hospital's future is threatened by the ongoing cuts to Medicare and the failure of the state to expand Medicaid, officials say. “If you decide to live in a rural community, are you deciding to have a worse outcome if you have a stroke?” asked Dr. Jeff Feit, vice president of population health at the Valley Health system, which manages the hospital and five others along the Virginia and West Virginia border. While the Affordable Care Act has allowed millions to gain access to health insurance, rural hospitals continue to face reimbursement cuts and practice-of-medicine regulations that administrators say do more harm than good. In the U.S., nearly 2,000 hospitals are rural and 1,333 qualify as critical access. With little prospect of legislative or regulatory relief, critical-access hospitals' ongoing financial woes are being compounded by Medicare cuts imposed by sequestration and the failure of most rural states to expand Medicaid. While the overall number of critical-access hospitals did not shrink over the past year (see this week's By The Numbers), there has been a steady drumbeat of closings over the past few years, leaving hundreds of thousands of patients with limited access to services, advocates for rural hospitals say. Federal bills have been introduced this session in both chambers that would help rural hospitals, some with bipartisan support. But they have received little attention in Congress and have almost no chance of passage. Travis Clark, president of Page Memorial, said the federal government has helped hospitals such as his in the past. But they are now in need of special programs and grants that will allow rural providers to do more than just survive. “We need to make them strong,” he said. Without action, their struggles continue. In mid-September, a 75-bed hospital in rural southeast Kansas announced it would begin a phased closure on Oct. 10. Mercy Hospital Independence is hoping to keep some services available, such as primary care, hospice and home health. There could also be a free-standing emergency room, but that could pose financial hurdles unless it is provider-based. ERs that are not provider-based receive less reimbursement for services, said Kansas Rep. Jim Kelly, chairman of the Mercy Independence board of directors. The Kansas Hospital Association has repeatedly told lawmakers that failure to expand Medicaid is having dire consequences, including the closing of hospitals. Mercy Independence would receive about $1.6 million more in one year if the state expands. Yet Gov. Sam Brownback has refused to budge. Maggie Elehwany, vice president of government affairs for the National Rural Health Association, said significant Medicaid cuts in the past few years have been suffocating rural hospitals. Since 2010, 55 rural hospitals have closed and that rate is escalating. More than 280 report being at the edge of closure. In 2013, more than one-third of rural hospitals were operating at a deficit, she said. “The greatest crisis right now is the hospital closure issue,” she said. The worst financial hits have come from cuts to Medicare's bad-debt program and disproportionate-share hospital payments. Sequestration, which slapped a 2% across-the-board cut on Medicare payments, hit rural areas with their older populations especially hard. Rural hospitals rarely have the option of shifting costs to the privately insured. “It's very different if not impossible for them to make up that difference with other methods,” she said. The 20 states that have not yet expanded Medicaid eligibility under the ACA tend to be more rural states with Republican governors. These states also have residents who tend to be older, poorer and sicker, Elehwany said. (R-Mo.) and David Loebsack (D-Iowa), would roll back the Medicaid bad debt and disproportionate-share hospital pay cuts. It also would relax physician supervision requirements, which have come under criticism from rural hospital officials having difficulties attracting licensed practitioners. The regulations, present in most states, say a licensed physician must supervise routine medical procedures that could be performed safely by nurses and physician assistants. 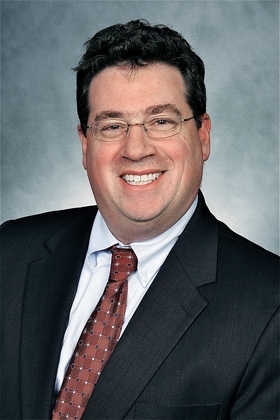 Healthcare lobbyist Eric Zimmerman, an attorney at McDermott Will & Emery with numerous healthcare clients including the recently formed Medicare Dependent Rural Hospital Coalition, said it is unlikely Congress will take major action this session to save rural hospitals. With the annual doc-fix legislation no longer in play, legislators fighting for special interests such as rural hospitals no longer have a “must pass” legislative vehicle for pursuing desired healthcare changes. And they get no support from the White House. The Obama administration has proposed tightening the definition of a critical-access hospital and cutting their reimbursements, which are currently slightly higher than other hospitals. Senate Republicans are pursuing their own agenda for rural hospitals. Rep. Chuck Grassley (R-Iowa) introduced the Rural Emergency Acute Care Hospital Act, which would create a new Medicare payment designation for “rural emergency hospitals.” They would be required to provide emergency care 24/7 and observational care for some cases. They would receive 110% of normal reimbursement, a 9 percentage-point bump. Travis Clark, president of Page Memorial, said the federal government has helped hospitals such as his in the past. But they are now in need of special programs and grants that will allow rural providers to do more than just survive. The critical-access hospital designation was created in the 1997 Balanced Budget Act because of a string of rural hospitals closures in the 1980s and early 1990s. The hospitals struggled with Medicare's new practice of paying hospitals a set amount per procedure, instead of whatever the hospital said treatment cost. Critical-access hospitals must have 25 or fewer beds and be 35 miles away from another hospital. They receive reimbursement of reasonable costs plus 1%. The ACA aimed to do away with some of the payment designations, reasoning that the large increase in people who have health insurance would offset the other problems. When the U.S. Supreme Court said states could not be forced to expand Medicaid, many of those people were once again shut out from coverage. Zimmerman said Congress will have trouble finding the funds for major reform or rolling back cuts from the ACA. 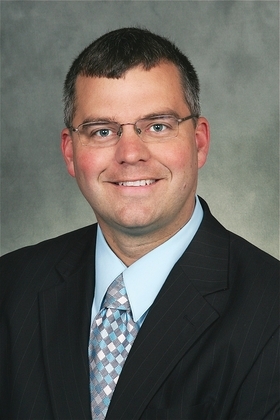 Keith Mueller, director of the Rural Policy Research Institute's Center for Rural Health Policy Analysis, said the REACH Act would take more time to implement because it creates a new program. Rural hospitals are looking for more immediate ways to keep at least some services available. Rural hospitals are vital to their local economies. The National Rural Health Association claims that closing the 283 most vulnerable rural hospitals would eliminate 36,000 healthcare jobs and an additional 50,000 jobs in the community would be at risk. Those cuts would result in a $10.6 billion loss to the gross domestic product. Clark said Page Memorial Hospital employs nearly 200 people and has a $40 million impact on the county. Desperate for alternatives, some doctors and rural hospital administrators see telehealth as an option to access healthcare in rural areas. Dr. Michael Meza, who has been a family practice physician in north-central Idaho for 20 years, started incorporating telemedicine services when he saw his patients traveling long distances for specialty care, often after waiting months for an appointment. To deal with the lack of psychiatric services and the fact that some of his patients have difficulty accessing specialty care, he created a telemedicine operation so that patients could receive timely care without taking days off work or school for travel. “It could be a godsend to some of these small hospitals and communities,” he said. Telehealth services have unique barriers, though. Some rural communities do not have the high-speed Internet connection needed for videoconferencing. And some physicians are unwilling to make telemedicine referrals, he said. Also, some organizations may have to reach across state lines to find a provider, which presents licensing, patient privacy and security challenges. Electronic health records need to be sharable with a variety of practices as well, Meza said. Shannon Sorensen, CEO of Brown County Hospital in Ainsworth, Neb., said her hospital is in the black and meeting the needs of the community, but is struggling to cope with the increased regulatory burdens. The closest hospital is 150 miles away, which means even by helicopter it takes an hour to reach other healthcare providers. The 23-bed critical-access facility is vital to residents who need preventive or emergency services, she said. Sorensen called for getting rid of the 96-hour rule during a July congressional hearing; the rule requires a physician to certify that a beneficiary will be released or transferred within 96 hours of admission. If the condition is not met, the hospital faces nonpayment. She also attacked physician supervision requirements for routine procedures and the two-midnight rule, which strictly defines inpatient hospital stays. “Having to focus on regulatory burdens interferes with the best judgment of physicians and other healthcare providers, placing them in a position where highly qualified local providers cannot provide care for their patients,” she told lawmakers. In an interview, Sorensen said the regulations are arbitrary and a distraction for doctors who would rather focus on the health of a patient. “It's the world of medicine, not an exact science,” she said. The hospital is small but has a lot of technical resources. Pharmacists and emergency doctors are available for consults at the push of a button and telehealth services are on-site, she said.